For all you Grand Cherokee fans out there, you should start seeing commercials this weekend for the new 2011 Jeep Grand Cherokee. A preview of the commercial can be seen below. Jeep is going with the “baseball, mom, and apple pie” theme on this one for all you marketing buffs. Looks like Jeep is trying to get back to their roots and stir up some of that old skool American brand loyalty that evokes images of assembly lines, Willys Jeeps, and WWII triumphs. The commercial is decent, but I guess time will tell if the vehicle is too. So, will you be buying one these? Let us know what you think in the comments. This design was in the tank ready to go before the Fiat merger. I’m not sure if Fiat is any more qualified to eradicate Gremlins than anyone else. This commercial is certainly better than their last series that didn’t even picture the vehicles they were trying to sell-much like the early Infiniti ads of the late 80’s. 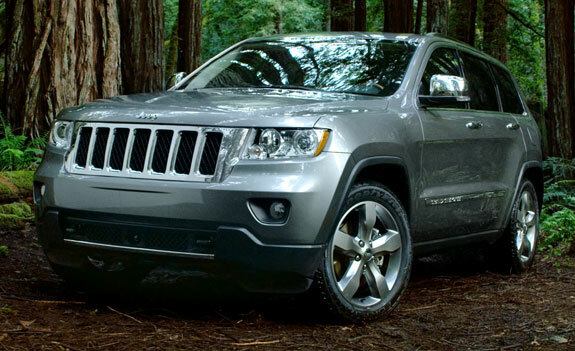 Bottom line-the 2011 Grand Cherokee is a long awaited home run. It is brilliant marketing to get Americans pumped up again about buying American with this theme (at least it seems that way). However, for what they are asking for a Loredo you could buy a late mod Escalade let alone a Limited model. Wait a couple of years to get a deal on this model year. Got rid of my 1995 Jeep Cherokee and purchased a 2010 Jeep Cherokee Laredo. Sorry I did as I do not particularly like my new car. To sound the horn you have to pound it. To close the flipgate you have to slam it with all your might. Too wide, too long, poor visibility due to the height of the passenger seat extension. Changed the signal (HI-Low beams) so that it operates the reverse of previous models. Why? Irritating! I would not recommend this car to anyone – sad, as I have been a Jeep owner since 1953. Previous post: Jeep Recalls 288,000 Jeep Wranglers. Is yours one of them? Next post: Is Jeep building a pickup truck?